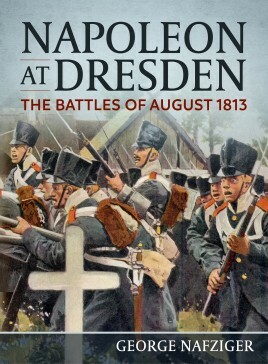 The book goes through four major battles of Dennewitz, Gross-Beeren, Dresden, and the Battle of the Katzbach. The smaller, but incredibly important Battle of Kulm is also described. Dr. Nafziger shows us how the Allies completely changed their strategy after the armistice that divided the two parts of the campaign. The Allies decided to swallow their pride and retreat if Napoleon himself was in command of the French troops in front of them. The Allies would then attack the other French Armies under one of Napoleon's Marshals. They neglected to follow this strategy at Dresden, and came close to losing the war along with that battle. The author has added a large amount of paintings, portraits, and a plethora of maps. There are nineteen colored maps alone. There are two appendices, and the Order of Battle breakdown is a full sixty-six pages! The book itself is 258 pages long. The information inside is invaluable for a student of the campaign. The 1813 Campaign in Germany is full of missed chances on both sides, but especially on the French side. Dr. Nafziger fills his books with facts, figures, and deep insights into the moment of history he is describing. If you are looking for a book that is filled with personal accounts of the campaign, then look elsewhere. On the other hand, if you want a sweeping view of the campaign from strategic to tactical, this is your book. Thank you, Casemate Publishers, for letting me review this excellent book.